I'm a writer who enjoys gardening, reading and nature. 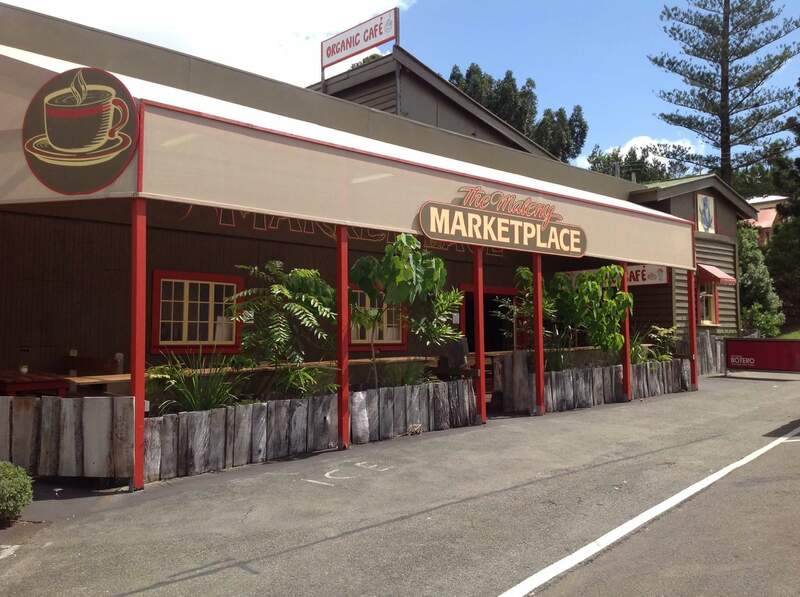 On first impression, it's easy to say that Maleny Marketplace is a welcoming place created for the community. My entrance was received with a warm friendly smile from the barista and service was invitingly unpretentious. The Marketplace has a lot of character. It once served as a fuel station and garage and has retained an industrial, pre-loved, laid-back feel. The interior is spacious with a wide open floor to accommodate large social gatherings, you can also find quiet spots in or outside where no one can cramp your style. If aesthetics are your thing, this place has a creative soul. 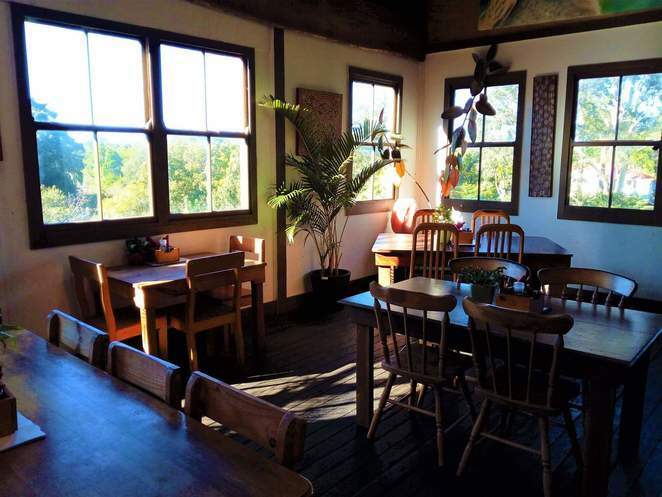 A well-curated selection of eclectic paintings by local artists are displayed on each wall giving it an urban art gallery feel, large windows let in streaming light, and garden plants, greenery and fresh flowers ornament the tables. The coffee is organic coffee by Botero which is a strong blend, made by barista's who obviously know what they're doing. You'll easily find items on the menu or in display cabinets which are gluten, sugar and dairy free, raw, and organic catering to specific diets. Delectable looking gluten-free, raw cakes and desserts, gourmet sandwiches, freshly made savoury and sweet muffins will tempt you as well as a tasty and nutritious menu. For those who favour the garden to plate approach, you'll like the way they do business here. Ingredients for the menu are grown just footsteps from the kitchen, offering a wholesome style cooking process and product. Delicious corn fritters, Moroccan sweet potato salad and roasted Italian aubergine are some of the meals to try if you're dining in. Grab and go salads are available for those who are eating away. They also offer succulents, seedlings and plants in their garden centre as well as homegrown fresh produce and seasonal fare, including local honey and organic eggs, hence the name Maleny Marketplace. Thanks for posting this Mei. Was able to go for a coffee here. It's spacious, relaxed and kid friendly.